It’s that time of year and we are getting a lot of enquiries regarding US Visas. B2: nonimmigrant visa for tourism up to 6 months – If you are coming here on vacation this is the visa you want. You can not accept a job or start a job on a vessel in the US while traveling on a B2 Visa. Proper protocol is to depart the US, finalize your employment contract and return to join the vessel. 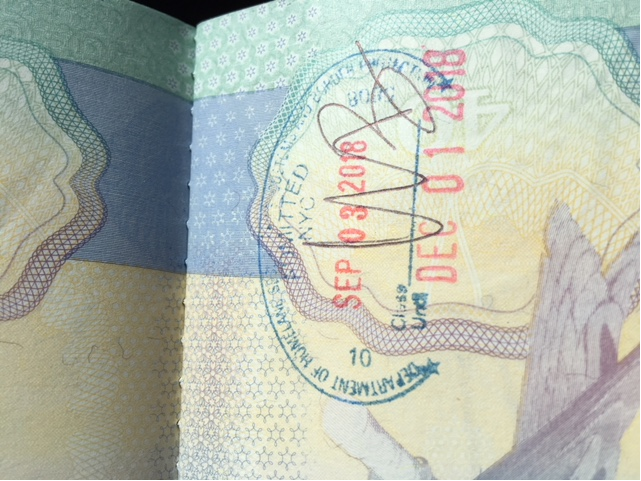 So what is the B1/B2 – this is two visas in one and the CBP Officer stamping you in has the ability to stamp you in either as a tourist or for business. Most crew get this combination. C1: Transit visa for crew on vessels and airlines. This is for crew that is arriving on one vessel and possibly traveling to another port to depart on another vessel. IT is limited to 29 days. On rare occasions we can get it extended. D: Crewmember (D) visas are nonimmigrant visas for persons working on board commercial sea vessels or international airlines in the United States, providing services required for normal operation and intending to depart the United States on the same vessel or any other vessel within 29 days. C1/D is a combination of the above, and is the visa used by commercial mariners. If you are applying for your visa in London or your vessel is listed for charter in all likelihood they will tell you this is the visa you must get. ESTA: Visa Waiver for Business or Tourism 90 days – This is becoming an increasingly popular visa for Rotational crew or crew joining a vessel that will be departing within 90 days. You can also go to and from the Bahamas on the vessel with an ESTA as long as your original entry into the US is on a Signatory Carrier, although a few yachts do have signatory carrier status, typically this refers to commercial airlines. You are restricted to the 90 days stamped on your original entry. So what Visa should I get? Depending on your timeline and if you are from a VISA waiver country and will be flying into meet a vessel, consider utilizing the ESTA, with the knowledge you will need to have a significant departure within 90 days. A significant departure does NOT include Canada, Mexico or the Bahamas. Due to the issues getting a B1/B2 visa if your vessel is listed as being for charter it is now recommended you apply for the C1/D visa and during your interview ask if it is also possible to get a B1/B2, as this is standard practice in the Aviation industry where many crews work on both commercial and private planes. What should I remember at my visa appt: the directive that the embassy officials have when determining each visa application is to assume that everyone who applies intends to permanently immigrate to the US, no matter what visa they are applying for. So the onus is on the applicant to prove otherwise. Provide evidence of strong ties to your home country. Attitude can also be a key factor. Remember a US visa is not a right, it is a privilege. Be professional and confident. Do not cross the line into arrogance.